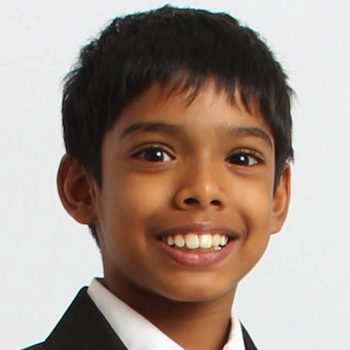 In this talk, 9 year old, Reuben A Paul (@RAPst4r) will introduce to you the A-to-Z of CyberSecurity – both CyberThreats and CyberDefenses. He will explain some complex security concepts (e.g., encryption, hashing, etc.) and demonstrate some well-known hacker attacks, as a kid understands them, which he believes will be simple enough for anyone to understand. So whether you are a n00b or a l33t haX0r, maker, breaker, or builder, there is at least one thing, he feels, you are going to learn. Come for a simple and sophisticated, entertaining and educational, informative and inspirational, one of a kind highlight talk and you may even catch him pwning a box or a mobile device – kid style.